Heat 1 tbsp olive oil in a large frypan over medium heat. Add onion and fry 3-4 mins until soft. Add mince and spices, season with salt and pepper, use a spatula to break up the mince, stirring and frying 6-7 mins until browned and cooked through. Transfer mince to a bowl. Wipe out the frypan, place over a medium heat and add remaining oil. Add curry leaves and fry 30 seconds until popping and fragrant. Remove and drain on paper towel. Fry eggs in the curry oil. 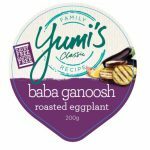 To serve, place a generous dollop of Baba Ganoosh on each plate. 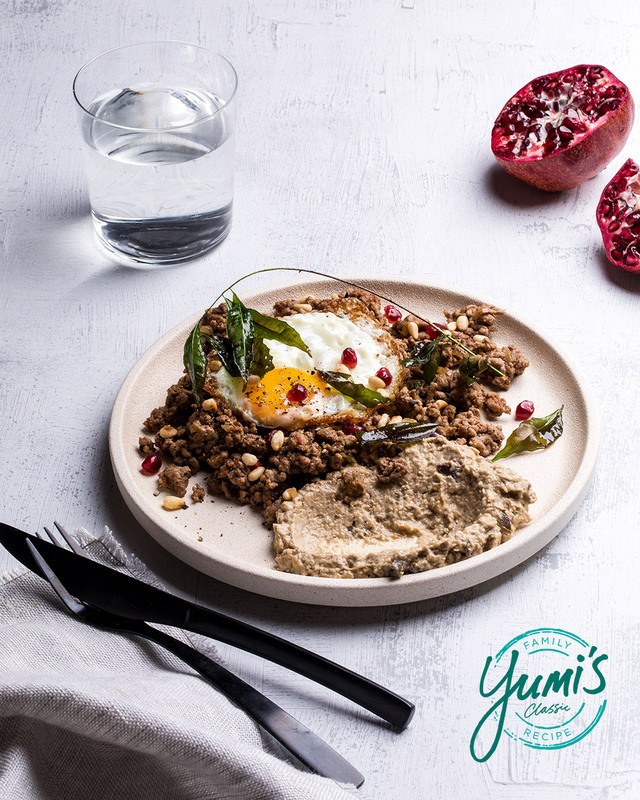 Divide lamb mince between the plates then top with an egg, a stalk of fried curry leaves, sprinkle of pomegranate avrils and toasted pine nuts. Season with extra pepper to serve.